It seems like every day more and more schools/school districts are implementing some sort of mobile device solution and iPads are usually the device of choice when it comes to 1:1 implementations. 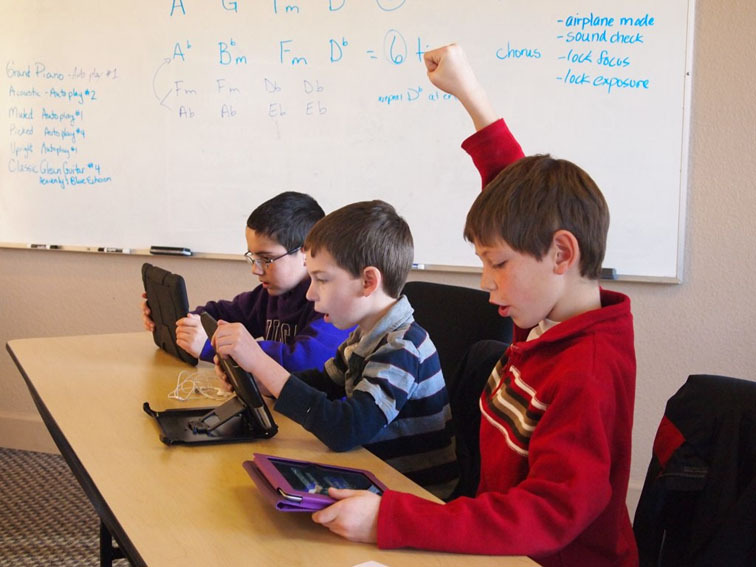 Implementing iPads in the classroom can enhance learning in numerous way, but they are a complete waste if they aren’t implemented correctly. By good I mean a well thought out and well defined policy that is clearly written. This can save your rear. You need to make sure everyone is one the same page and knows what to expect. Otherwise you will end up with a mess of confusion and problems. So make sure you cover all the bases. For example, make sure you state which apps you will support and/or control or maybe even ban. This one is the most important step in any new classroom technology integration especially with iPads. Make sure you check your signal strength and distribution as well as capacity. You will need a more robust network with a strong, reliable connection to support all those mobile devices. If your wireless network isn’t adequately prepared to support all these devices you are wasting your time even bringing the iPads in. You’ll end up with a pile of useless devices and a big F in for the whole implementation. You don’t want to allow your students’ access some of the same things as your teachers like access to the internal servers. You need role based access control so your system will have directory services integration and be able to assign roles to users, such as student, teacher, etc. Then you can use that information to segment user groups based on role, and limit what they can access. One of the reasons iPad implementations fail is because usage is unplanned, arbitrary, and often an afterthought. For successful classroom technology integration of tools like iPads, it is important for educators to understand how to assimilate these devices into their teaching and not just use them sporadically just for the sake of using technology. Before just giving students and teachers devices and just letting them go, make a purposeful plan for this program to get the greatest amount of benefits from the implementation. It’s important to make sure your teachers have been properly trained to use the iPads in the classroom. Before giving iPads to the students your teachers must be comfortable using them first. You need your educators to be knowledgeable and adequately prepared to support learning objectives. Now if that means training educators throughout the summer and through the beginning of the fall, so be it. Educate administrators then pilot the program long before the students are handed the devices. When implementing iPads in the classroom there is a lot to consider, but with good solid plan it can be a great success. If you’re considering implementing a 1:1 iPad plan at your school and have any questions or need help you may contact us here. We have worked with schools all over the country to bring great mobile devices like iPads in education. Our goal is to be a resource to you! Previous Post: What Affects 802.11ac Capacity?